Our 3rd annual Summer Classical Series concert will be a performance of Mozart’s Requiem. Nearly 100 voices of our Central Florida Community Choir, along with a full chamber orchestra, will perform this final piece of Mozart’s work, a powerful musical treasure which was unfinished at the time of his death in 1791. 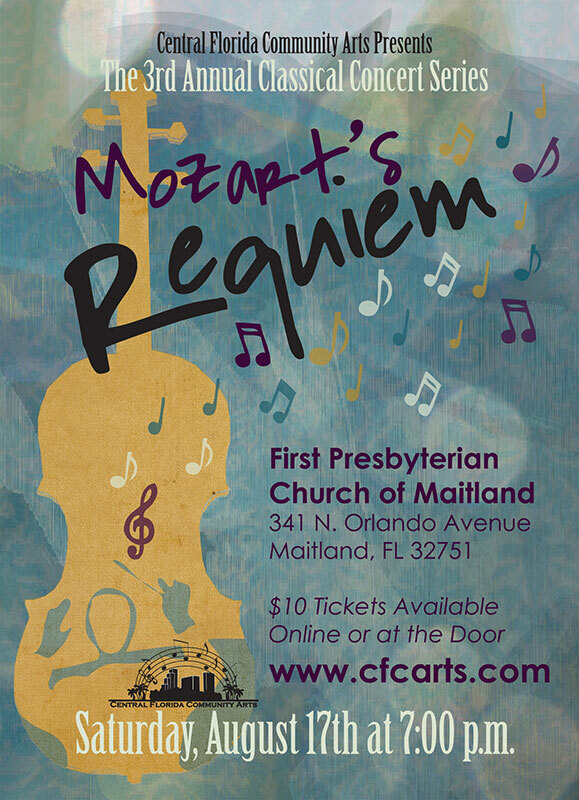 The performance of Mozart’s Requiem will be held on Saturday, August 17, at 7:00pm, at First Presbyterian Church of Maitland, 341 North Orlando Avenue, Maitland, FL 32751. The concert will be $10 per person. Age 16 and under will be admitted free. Ticketing problems or questions? Contact Sarah Mattingly at (407) 949-7170.